Hi Back Yard Farmer. 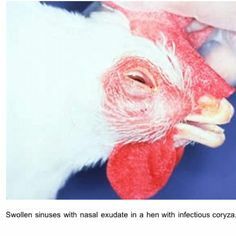 I have lost some of my young birds to a sinus infection which causes their nostrils to be blocked and eyes to swell and they have a horrible smell? Lots seem to be fine and some get sick and recover but some have short time with breathing problems and then die quickly otherwise looking well. A neighbour has also had some trouble and lost half her birds but the vets didn’t diagnose it just gave her some very expensive a/b which seems to have done nothing. Do you know what this is – there seems so many possibilities on the net and what might treat and prevent it. I’m asking you first as you seem to have a similar approach to me ie natural mostly. Many thanks. Back Yard Farmer -Thanks for that. I’m not into vaccinations of any kind so will see what else I can find out but the diagnosis is very useful. I had seen that and thought it looked a strong possibility so great you confirmed it. I use homeopathy a lot but have struggled finding a good remedy for this. Mary – It is a very aggressive bacterial infection and you either need to get the birds immune (vaccinate) or you have to not expose them to the bacterium at all. Natural immunity will exist in those birds that encountered the disease and survived, but unfortunately they remain carriers and will infect any new birds introduced. Back Yard Farmer – Thanks for that info. I’ll find out if there is a homeopathic vaccination available. http://earthmama24.blogspot.co.nz/2011/03/natural-treatment-of-infectious-coryza.html This is quite interesting. So do you think that those that get well naturally or from antibiotics are still carriers and therefore it is best to cull any sick birds? I’m feeling thankful that most of my breeding birds are in their own runs and the sick little ones are in one of the nursery pens so if I act quickly and sensibly we should contain it. Mary – Thanks for the mail. Yes it can be treated in many ways, even left to its own. Some birds will die some will survive – the better they are looked after the more will survive. Those that do survive will be carriers forever though and if you introduce new non vaccinated animals, you will have to go through the disease again and loose some again. Tough ! !